Nate Axelrod scored seven straight points to give the 23rd-ranked Ohio Wesleyan men’s basketball team some late life, but fifth-ranked Wittenberg had an answer for every run en route to a key 93-72 NCAC win Wednesday night in Springfield. Axelrod, who led the Bishops (11-5, 6-3) with 19 points, drilled a three-pointer to cut the deficit to 81-64 with less than seven minutes to go, but the Tigers (16-0, 9-0) answered with a Jacob Bertemes layup on the other end. Bertemes, who was solid from start to finish, poured in a game-best 27 points. Axelrod didn’t get a ton of help on the offensive end — Nick Heidel and Chris Allocco chipped in 11 and seven points, respectively — but offense wasn’t OWU’s problem … at least not entirely. The Bishops made twice as many three-pointers as the Tigers, finishing with eight, but couldn’t get stops on the other end. Witteberg shot 40-for-68 from the field (58.8%) and cashed in on nine of its 10 shots from the charity stripe. Rebounding was another key as the Tigers finished with 42 — 11 on the offensive end — compared to the Bishops’ 23 total boards. 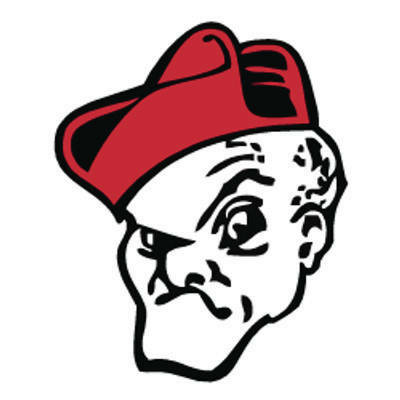 Chad Roy, Connor Seipel and Landon Martin joined Bertemes on Wittenberg’s list of double-digit scorers. Roy had 22 points to go with nine rebounds, Seipel finished with 16 points and 11 boards and Martin added 10 points in the win. Derrick Wyche gave the Bishops some nice minutes in the second half, scoring six points off the bench. Seth Clark, Jaret Gerber, Grant Gossard and Jake Hecker also had six points in the setback. Wittenberg started strong and never looked back, parlaying a 40-24 halftime lead into a 73-57 NCAC win over host Ohio Wesleyan Wednesday night at Branch Rickey Arena. The Tigers (9-9, 4-5) outscored the Bishops (1-16, 0-8) 25-17 in the first quarter and 15-7 in the second to take control. Both teams scored 33 points in the second half to smooth out the scoring summary. Amanda Raber poured in 15 points off the bench to spark Wittenberg. Alex Kiess and Sydney Mayle also had 15 points for the Tigers. Claire Sterling led OWU with 17 points and eight rebounds. Tia Karras was also steady, finishing with 12 points.